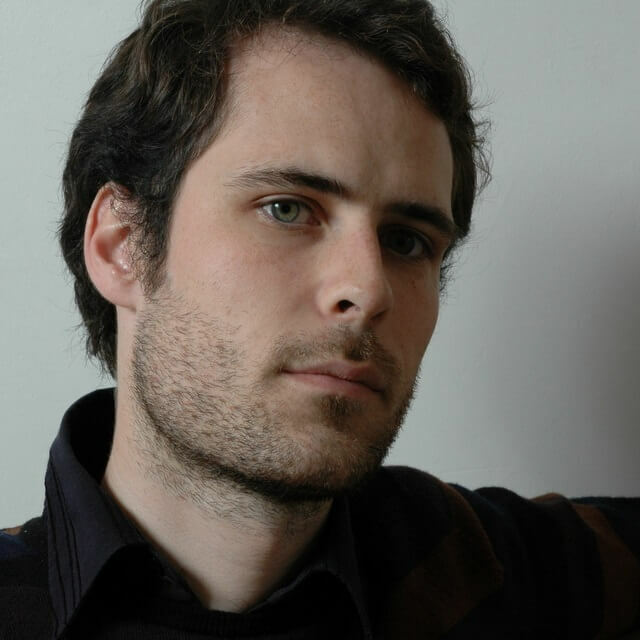 Born in France in 1980 and currently based in Paris, Pierre-Yves Macé studied piano and classical percussion, before turning to composition. He was mainly self-taught, and his music stands at the nexus of contemporary classical, electroacoustic composition and sound art. In 2016/2017, he was “Compositeur Associé” of Orchestre de Chambre de Paris. Macé’s music has been performed by Ensemble Cairn, l’Instant Donné, Orchestre de Chambre de Paris, Les Cris de Paris, pianist Denis Chouillet, soprano Natalie Raybould, clarinetist/saxophonist Sylvain Kassap, Amôn String Quartet, Collectif 0 and Ensemble d’Improvisateurs Européens. Macé has been commissioned by Paris Autumn Festival (monographic concert in 2012 at Théâtre des Bouffes du Nord), Villette Sonique (Paris), Ars Musica (Brussels), Les Musiques and MIMI (Marseille), AngelicA (Bologna), Santarcangelo (Rimini) and Akousma (Montreal) Festivals. His first recording, Faux-Jumeaux, was released on Tzadik in 2002, followed by several records on Sub Rosa, Orkhêstra and Brocoli. Macé has collaborated with artists such as Hippolyte Hentgen; writers Mathieu Larnaudie, Philippe Vasset, Pierre Senges, Julien d’Abrigeon, Christophe Fiat; directors Sylvain Creuzevault, Joris Lacoste; dancers Anne Collod, Fabrice Ramalingom, Marinette Dozeville and Marianne Baillot. In 2013/2014, he wrote short miniature pieces for Gérard Pesson’s radio programme, Boudoirs et Autres on France Musique. In 2014, he won Hors Les Murs of Institut Français, which involved a one-month residency in the US. As a performer, Macé has premiered works by Matmos, Richard Chartier and Andrew Bird, among others. As an accomplished scholar of musicology (University of Paris VIII), Macé is the author of the book Musique et Document Sonore, which is about his studies of the relationships between documentary sounds and musical composition.